To promote Information collaborations and Constructive communication between NGOs, to develop effective partnership with each other. Networking for the access, sharing and dissemination of information collaboration and partnerships between the NGOs themselves and with other organisations. Networking to strengthen community organisations by boosting knowledge base and ability to share information and experiences with strategic allies and other partners in relevant field. Capacity building of grassroots level NGOs, social workers through free online resources and information on a single platform. To serve non-profit organisations, charities, grassroots and community groups, educational and research institutions. Provide Funding Support and useful information about how to get funding, where to get funding from Government, Funding Agencies, Support Organisation, Corporate Social Responsibility Parameters and other useful resources. Support NGOs in their fund-raising efforts and activities. Provide information and resources and guidance to NGOs to run and manage the organisation successfully while following social parameters. Sharing of ideas among NGOs, change maker catalysts and development agents. 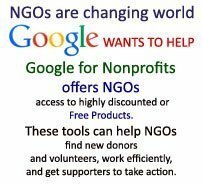 Avail free, easy and instant access to information to NGOs. Provide more options before Funding Agencies to select the right choice of NGO to support and work with. Provide information regarding NGO Registration and NGO Consultancy. Provide Volunteers to NGOs and collaborate between NGOs and Volunteers. 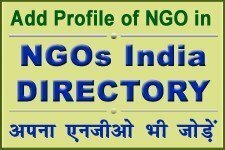 You can find the resources, informations of NGOs in different States and Union Territories in India about various sectors and on various social issues at NGOsIndia.com. The registration process and project informations of various different states of India is provided in the following links where you can get and find according to your requirements. The informations can be changed according to time and circumstances so if anyone wants to proceed for registration, project proposal submission or for any other proceeding then has to contact the concern department or authority or ministry or has to contact NGO Consultants. You can find out the Information, Listing and Profiles of any NGO from the different states, districts, cities, towns and villages from the state wise list of NGOs of India, that are enlisted in the website. The listing of Indian NGOs can be checked here for information purpose. We do not endorse, ensure the accuracy, credibility and reliability of any NGO enlisted in our site. We have been enlisting and providing information of NGOs for last 2 decade to make information dissemination so the the needy persons, change makers, supporters and NGO management can connect, communicate each other and with other NGOs; but after checking their reliability and status to fulfil their social purpose need at your own part. The main purpose is to create network among social activists, change makers, NGOs and supporters and bring them in connection with each other to communicate and to share the social development and social welfare tasks, projects, activities, events and programmes so they can move ahead in creative direction to achieve their goals and targets. Most of the NGOs has been working for social development by playing as social change maker agent role so we support and encourage social activists, social workers and their organisations they are running and working for social welfare and charity purpose. Some NGOs enlisted here may not be in working status or may not be in updated status, so if you find and look for the update or any useful information about the enlisted NGOs or about your NGO then you can send message and update information by mailing at: ngosindia(at)yahoo(dot)com or at contact page or at update page.